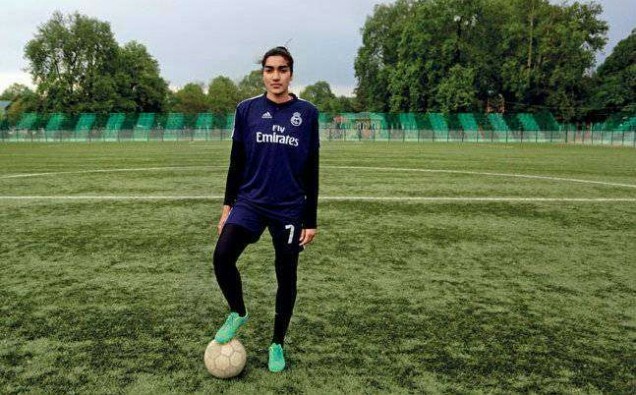 Afshan Ashiq is one of the increasing number of women taking up sport in Kashmir, and despite the protests from religious conservatives, a government push has led to a positive result to boost 52 different sports. Conflict between young people and authorities is common in the streets of Srinagar. More than 70 years after the partition of India and Pakistan, many feel India’s governance of Kashmir is better described as an occupation. Yet a photo of Ms Ashiq in that moment made her a sensation. Not only was she an elegantly dressed woman but she is also one of the state’s best football players. Ms Ashiq is the captain for the J&K state women’s squad and goalie for a Mumbai team in the Indian Women’s League. There are approximately 4000 young people in Jammu, Kashmir & Ladakh playing Rugby which is growing in popularity. The young women’s participation in the contact sport isn’t without its critics. “In the town where I am from, it isn’t normal for a young woman to leave her home to learn how to play rugby,” says Irtiqa Ayoub, 23, who has become one of Kashmiri rugby’s leading lights. Waheed Para has played a critical role too in the uprising of women sport from a political perspective. Mr Para was inspired to create the program, based on the Australian Sports Commission after seeing the huge conflicts caused in Kashmir over the role of Women in Sport. “We came up with the idea of bringing people together on the playing field — a much more inclusive place than the mosque, the temple or the church,” he says. Mr Para, 29, feels confident that the backlash from some religious groups won’t inhibit the program’s progress. “We have reached a position now where it’s not easy for them to attack us,” Mr Para says. This has shown the fantastic progress made in Jammu & Kashmir, and further progress could lead to professional teams and beyond.